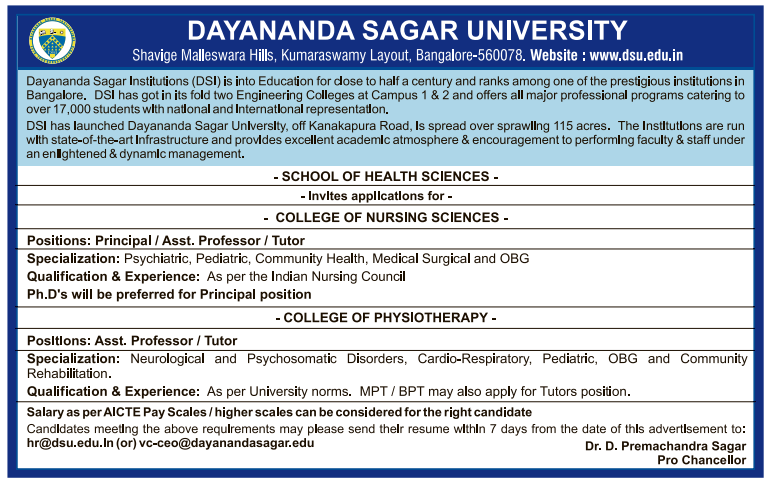 Dayananda Sagar University, Bangalore has advertised in the DECCAN HERALD newspaper for recruitment of Assistant Professor / Principal / Tutors jobs vacancies. Interested and eligible job aspirants are requested to apply within 07 days from 13th June 2018. Check out further more details below. 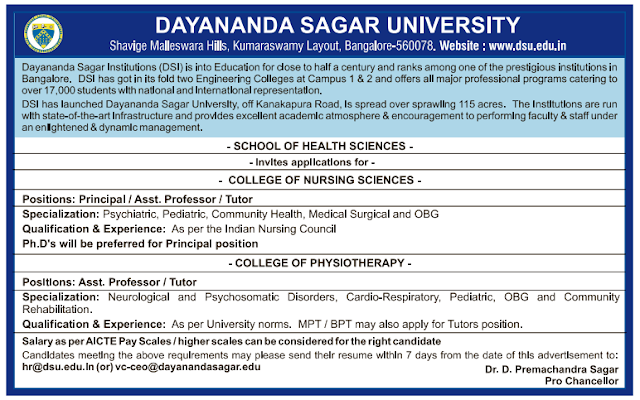 About University : Dayananda Sagar Institutions founded in the 60s by one such visionary, late Sri Dayananda Sagar committed to take knowledge to the people, transforms today’s students into responsible citizens and professional leaders of tomorrow. Dayananda Sagar University created by an Act of the Karnataka State in 2014, built on this adorable legacy and inspired by its own milestones, meeting the needs of quality higher education in this part of the world.